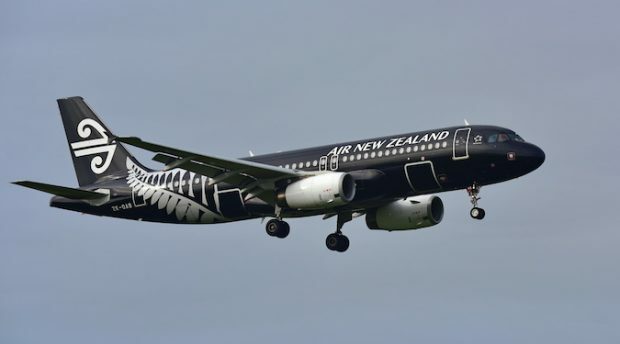 Air New Zealand has topped the list of Australia’s most reputable companies for the second year in a row, however it missed top spot on home soil. Air New Zealand is still the most reputable brand in Australia according to the Reputation Institute, taking the top ranking on the annual ‘Reptrak’ survey. Last year it beat out Mazda Australia to take first place, ahead of JB HiFi, Toyota and Qantas Airways. 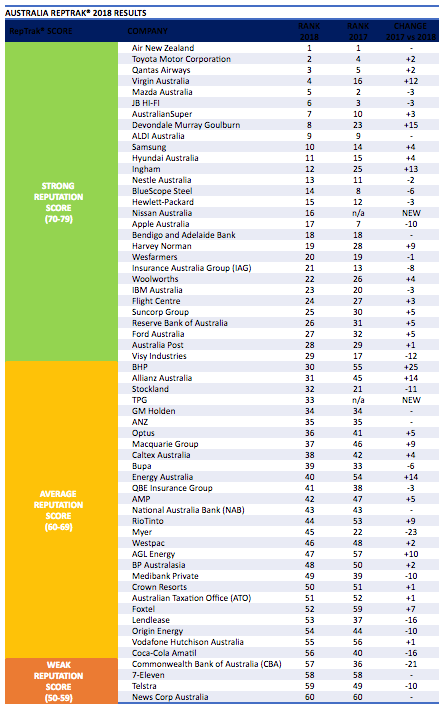 The study measures how Australians feel about the country’s top 60 companies on seven drivers of reputation (products and services, innovation, workplace, citizenship, governance, leadership, and financial performance). Airlines and car manufacturers dominated the list this year – Toyota jumped two places from last year’s standing from fourth to second, just ahead of Qantas Airways, Virgin Airways and Mazda Australia. Telstra narrowly avoided having the weakest score as News Corp Australia got the wooden spoon for the second year in a row. Other companies with weak reputation scores include 7-Eleven and the Commonwealth Bank (CBA). “Public investigations into banking practices have resulted in a far greater reputational impact on the CBA than other banks,” continues Freedman. CBA fell 21 places this year to 57th. “Overall the reputation of Australian companies is strong, with many organisations clearly showing that consistent and strong efforts across the range of reputational drivers will not only improve overall rankings, but help them weather the storm of any issues. Those companies that have let these efforts slip will continue to see a slide,” concludes Freedman. Air New Zealand seems to have a stronger reputation abroad than it does at home. In New Zealand’s Reptrak survey, Kiwis ranked their national airline the second most reputable brand behind Toyota. 2018 is the fifth year in a row that Air New Zealand and Toyota have taken the top two spots in New Zealand.